Traditionally used in doorways, foyers or hanging from lamp posts. 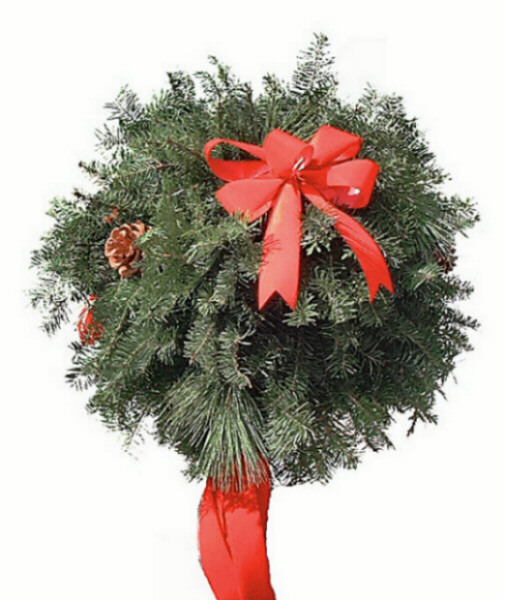 Made of balsam, pine & other greens to create a 12"-15" ball. Decorated with mm balls & ribbons.